BAYTOWN, TX — A record-setting 7,280 students are pursuing associate degrees and certificates this fall at Lee College, marking a more than 5 percent increase from the previous year and representing the highest ever enrollment since the college was founded in 1934. Preliminary headcount data from the 12th day of class also shows that the fall 2016 semester is the second consecutive fall semester that enrollment at Lee College has increased. Slightly more than 6,900 students were enrolled in fall 2015. In addition, Lee College leads all community colleges in the state in the growth of contact hours — the number of hours that students are scheduled to receive instruction. More than 1.22 million contact hours have been counted this fall, an increase of 19.5 percent from fall 2014. Contact hours are the basis on which the state Legislature decides how to fund community colleges. “Everyone played a role in helping us achieve these milestones,” said Pres. Dr. Dennis Brown, who touted the enrollment increase in an address to faculty and staff as they prepared to welcome students back to campus for a new academic year. He also noted that the college had received reaffirmation of its accreditation for the next 10 years by the Southern Association of Colleges and Schools Commission on Colleges, a major accomplishment and campus-wide effort that required the college to demonstrate compliance with 95 different standards. BAYTOWN, TX – It can take as little as 6-9 weeks to launch a new healthcare career for the new year through the fast-track programs offered by the Lee College Center for Workforce and Community Development, which is still enrolling students for the spring semester. Some 9,000 new healthcare jobs are expected to open in the Houston area this year alone, according to the Greater Houston Partnership. Prospective students can choose from several healthcare training program options at Lee College this spring, in both traditional and online formats, to help prepare them for work in the growing industry. The Certified Nurse Aide (CNA) program begins this month, and includes one track in which classes are held only on Saturdays. 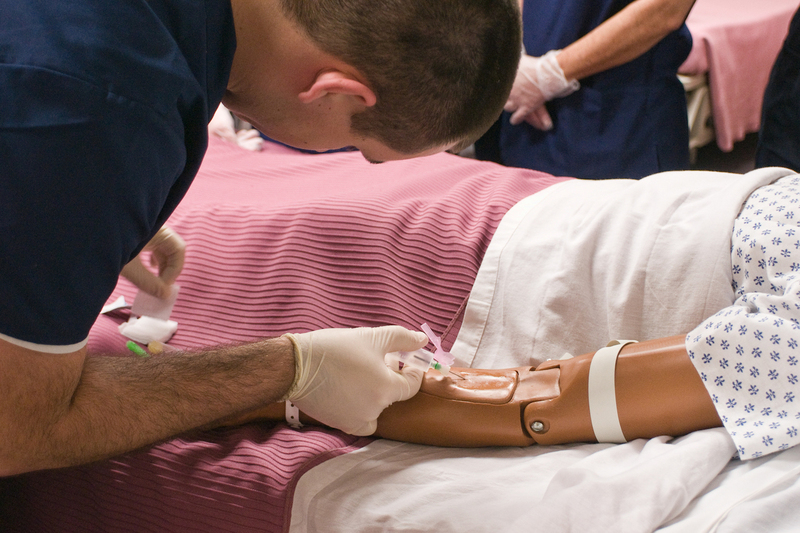 Certified Medical Assistant training also begins this month, while Dental Assisting and Phlebotomy will begin in March. Dates are being finalized for the Electrocardiogram (EKG) Technician program and Emergency Medical Technician (EMT) program, pending state approval. Those who wish to sign up for fast-track healthcare programs are advised to act quickly, as immunizations and other prerequisites must be completed before the start of class. For additional information about program costs and requirements, course curricula and career opportunities, contact the Center for Workforce and Community Development at 281.425.6311 or visit www.lee.edu/workforce.